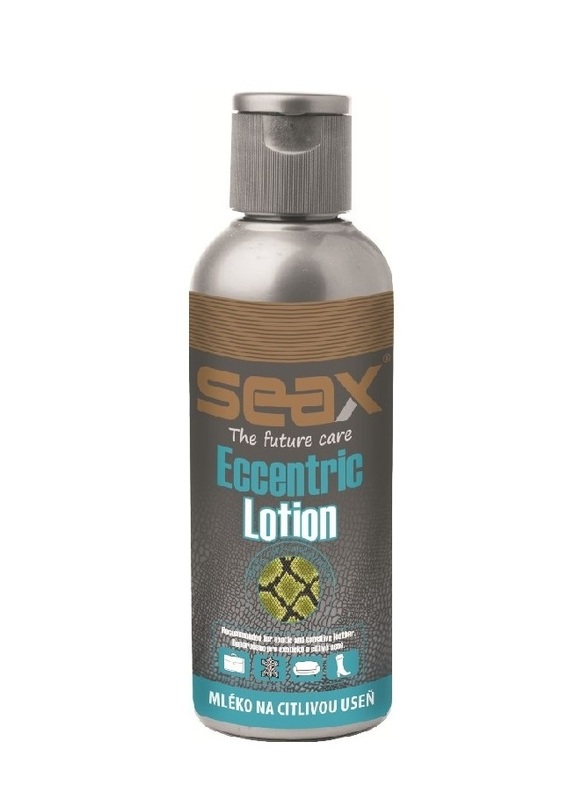 SEAX Eccentric lotion is treating liquid milk to a smooth material, particularly suitable for treatment of exotic and synthetic leather and PVC-based material (crocodile and snake skin, goatskin and imitation, eco leather). It adds material elasticity, shine and original appearance. Protects the material from the weather. Suitable for treatment of haberdashery handbags, shoes, seats and other products of the above materials. Not suitable for the treatment of material of a type suede-nubuck and smooth leather without surface treatment.